In an industry that is currently adding more SUVs than ever before, it can be hard for a utility vehicle to truly stand out. Fortunately, Dodge has found a pretty sound formula for that dilemma, perfecting it to present the 2017 Dodge Durango. The Durango stays at the front of the pack with its incredible power and performance, staples of the Dodge brand. The latest technologies and amenities also provide the Dodge Durango with a distinct advantage in its ever-growing segment. 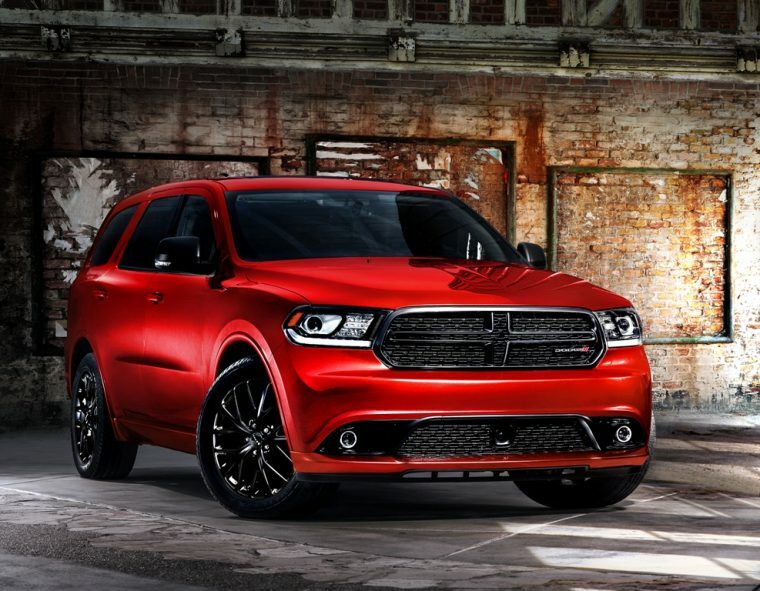 For 2017, the Dodge Durango ditches its previous Limited trim in favor of the new GT trim. Meanwhile, drivers can order the base SXT trim of the vehicle with just two rows of seats if they so choose, maximizing on cargo space. Advancements to the Durango’s rearview camera also provides driver with a better look at any trailer or load that they are hauling. The 2017 Dodge Durango comes with rear-wheel drive or all-wheel drive configurations in six separate trim levels: SXT, SXT Plus, GT, Citadel, R/T, and Citadel Ionized Platinum. 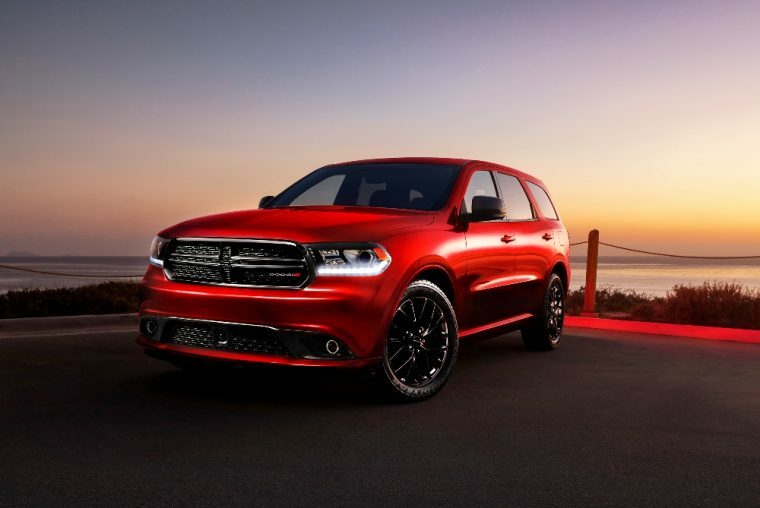 An aggressive stance isn’t the only thing that the Dodge Durango’s exterior has to offer. Standard automatic headlamps and a rear window defroster and wiper provide Durango drivers with a clearer look at the path ahead. Higher trims of the 2017 Dodge Durango offer additional exterior amenities, like a power liftgate and rain-sensitive wipers. The 2017 Dodge Durango comes standard as one of the most powerful SUVs on the market. Its 3.6-liter V6 24-valve VVT engine produces 295 horsepower and 260 lb-ft of torque. 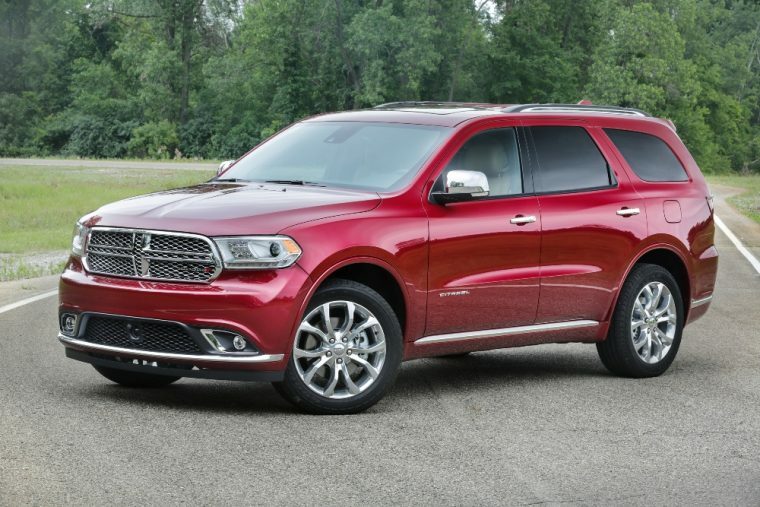 The Dodge Durango R/T trim only improves upon that performance with its 5.7-liter V8 HEMI® MDS VVT engine. 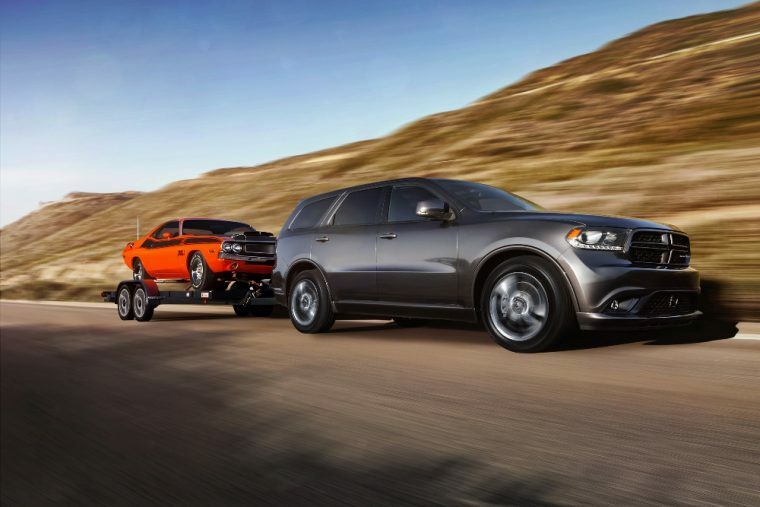 The HEMI allows for the Durango to achieve and impressive 360 horsepower and 390 lb-ft of torque. While the Durango may be one of the top SUV models in terms of power, it falls a little bit behind in the realm of fuel efficiency. Nevertheless, the standard powertrain configuration of the 2017 Dodge Durango still allows for the vehicle to reach a fuel efficiency of 19/26 City/Highway mpg. 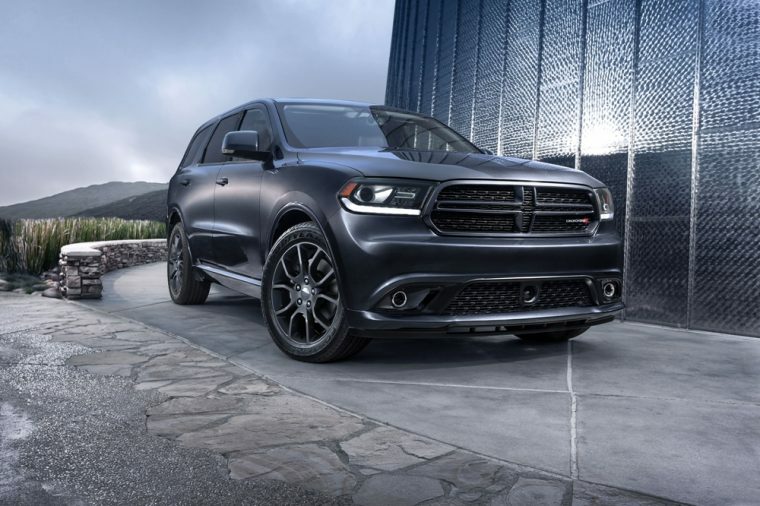 Just as the powertrain under the hood of the Durango was designed by Dodge to be as powerful as possible, Dodge aimed for the interior cabin of the SUV to be as intuitive as possible. 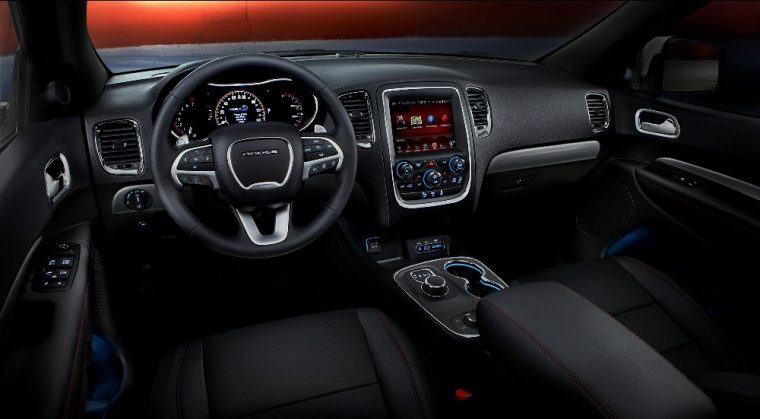 In order to achieve this goal, Dodge lined the interior of the 2017 Durango with some the best features and technologies at its disposal. A standard 5.0-inch touchscreen display serves as the central hub of the Durango’s media interface. As drivers advanced to higher trims, that 5.0-inch display is replaced with a larger and more interactive 8.4-inch touchscreen display. In addition to the technology that is featured throughout the cabin, the 2017 Dodge Durango also has a suite of 60 available safety features and security measures. Standard technology like Hill Start Assist and Rain Brake Support allow the Durango to safely take on any terrain.